Indian Space Research Organisation has launched a series of satellites under the title “Rohini”. The series consisted of four satellites launched on different occasions from 1979 to 1983. The series were named after the Hindu mythological character Rohini who gave birth, as a surrogate mother, to the seventh reincarnation Balarama of Lord Vishnu. Rohini is also the step-mother to Lord Krishna, the eighth avatar of Lord Vishnu. According to Hindu almanac and astrology, among all the 27 celestial stars, Rohini is the fourth star preceded by Ashwini, Bharani and Kirthika. 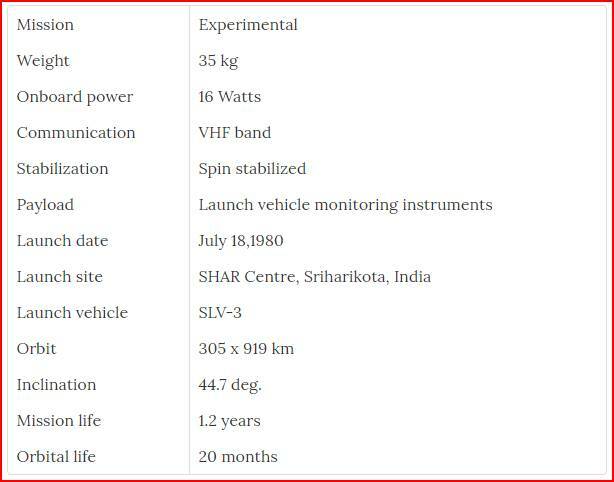 Rohini Technology Payload was an experimental spin stabilized satellite that weighed 35 kilograms. 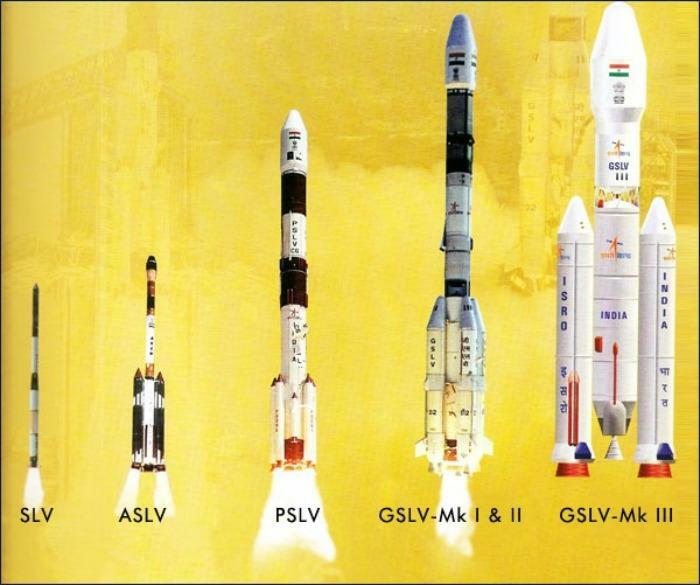 This was launched on 10th August, 1979 from Satish Dhawan Space Centre (SDSC), in the state of Andhra Pradesh. The satellite carried equipment to monitor the launch vehicle. However, the attempt was only partly successful because the Satellite Launch Vehicle (SLV) did not deploy the satellite in the intended orbit. RS-1 too was an experimental spin stabilized satellite which weighed 35 kilograms. Unlike the previous attempt, this was a successful launch which placed the satellite into an orbit of 305 km x 919 km at an inclined angle of 44.7 degrees. The launch took place on 18th July, 1980 from the SDSC. The RS-1 relayed the data on the stage of SLV. As against the orbital life 20 months, the satellite had the mission life 1.2 years. RS D-1 was launched on 31st May 1981and met with a partial success since it could not attain the conceived altitude. The satellite could not stay in orbit for more than nine days. It traversed in an orbit of 186 km x 418 km at a tilted angle of 46 degrees. The payload of the satellite included a solid state camera to capture images related to remote sensing operations. RS D-2 was a successful expedition. It was launched on 17th April 1983 and deployed into an orbit of 371 km x 861 km with a tilted angle same as that of RS D-1 at 46 degrees. The weight of RS D-2 was 41.5 kilograms which was the highest in the Rohini series. The prime payload of RS D-2 was a remote sensing camera which about 2500 images. The satellite had the highest operational life, in the Rohini series, of 17 months. The RS D-2 continued to stay in the orbit for seven years and came back to the earth atmosphere on 19th April 1990. 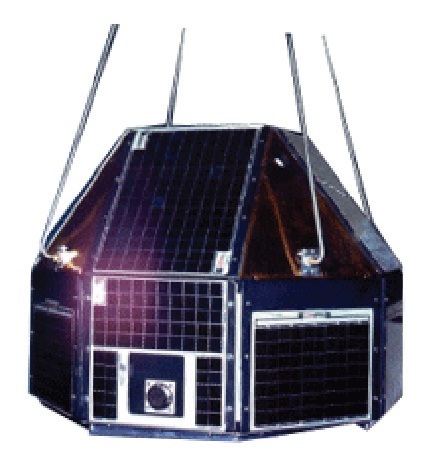 The Rohini Series was followed by a more successful SCROSS-C2 (Stretched Rohini Satellite Series) launched by ISRO on 4th May 1994 which performed quite well beyond the expectations. The SCROSS-C2 was launched by ASLV (Augmented Satellite Launch Vehicle) and carried out the operations for more than seven years, as against the expected life of one year. The main components of its payload Gamma Ray Burst (GRB) detector and Retarding Potential Analyzer (RPA) transmitted precious scientific data useful in space research.